The coral reefs off Sodwana Bay in the iSimangaliso Wetland Park were pulsating with life last week. Crystal blue water with visibility to rival the tropics and water warm enough for a hot spring. February seems to be the peak of summer and the marine life echoes this. Fish are friskier, the shoals are larger and more prevalent and the corals are getting broody. ORI scientists, as well as ex-ORI scientist Justin Hart, now at uShaka Sea World, have been studying coral spawning intensively over the last six years and, based on laboratory studies, have pinpointed on which nights at least 3 of the 90 hard coral species occurring on our reefs are likely to spawn. 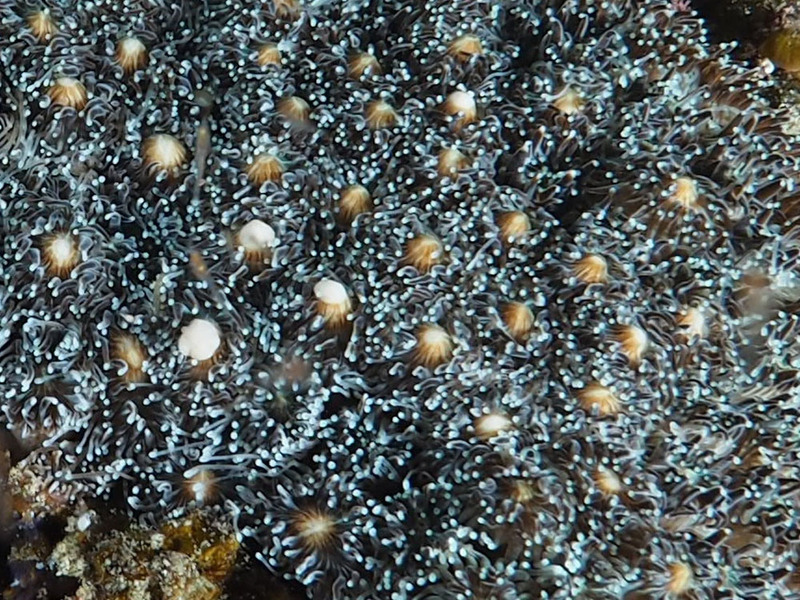 The spawning is synchronised, with mass releases of sperm and eggs. One of the aims of the ORI Reef Team’s recent trip, part of the ACEP-funded CAPTOR project, was to find out which corals are spawning on the Sodwana reefs, and when, by collecting and identifying eggs and larvae present in the plankton after each night. The really exciting part of the trip, however, came on two nights when the team went to try and observe corals spawning in the wild. The enthusiastic crew from Adventure Mania dive charters took the scientists out for two night dives, with levels of anticipation being palpable. Sitting on the boat at sunset, watching the sky transform from twilight to starry night, was a magnificent start to what would be exciting diving on both occasions. On the first night dive the scientists and charter crew were fortunate enough to witness actual spawning, although not by one of the species already studied. While underwater and having adjusted to following the group by torchlight, the dive leader Amanda noticed small polystyrene ball-like objects floating in the water. Coral spawn! The next few minutes was spent frantically trying to identify which species was releasing the bundles, and it turned out to be Galaxea. 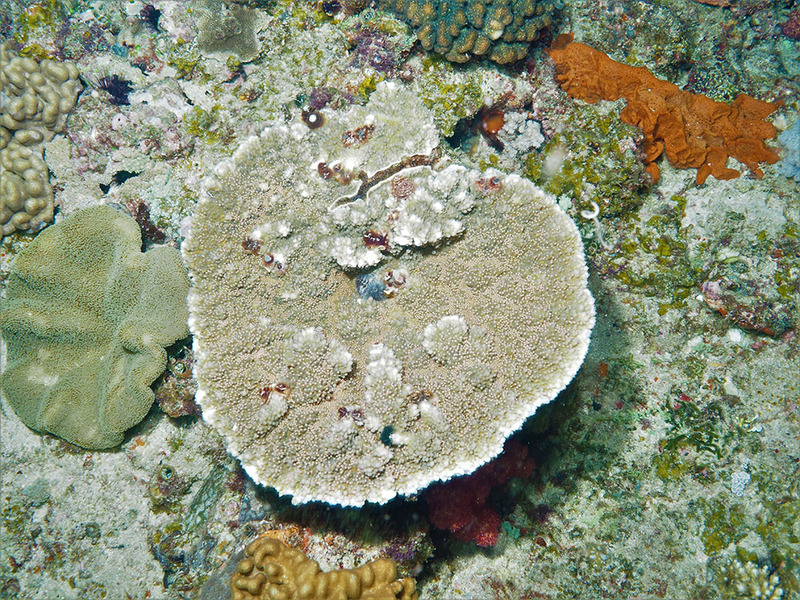 The rest of the dive was spent moving around the reef finding colonies of this coral and waiting patiently for them to release their potential progeny. The second night’s dive was just a bit too early to witness the actual spawning event. The scientists roamed the reef and were fortunate enough to see some large Acropora colonies that were close to spawning. Each polyp was holding a pink bundle of eggs and sperm in its mouth, waiting for the stars to align to release them into the ocean. 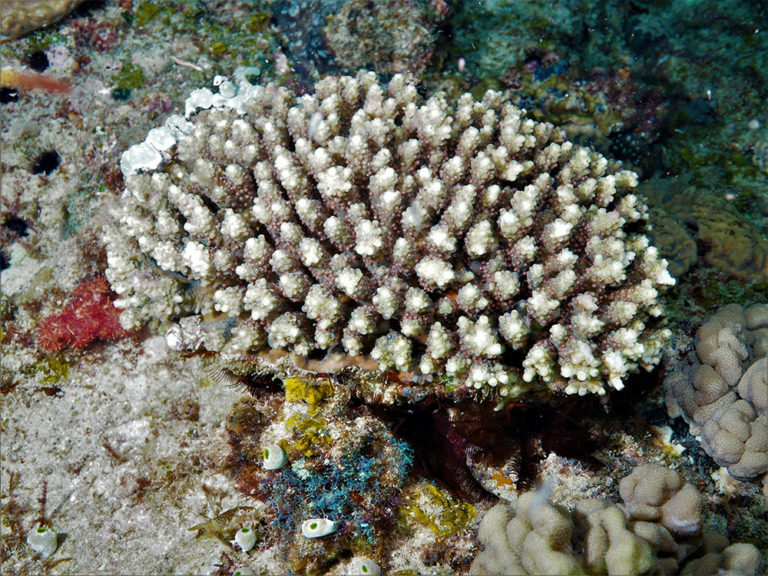 This is quite a sight as one can see if you zoom in on the photos of the two different species of Acropora. A forty-five minute dive was just not long enough! Once the owner-skipper Jacques navigated the teams back to beach safely, all were in awe of what they had just seen: the first people ever to document coral spawning on Sodwana Bay’s reefs in the iSimangaliso Wetland Park. A very fitting event to witness during ORI’s Reef Team’s 30th anniversary field trip, and a great culmination to some 6 years of hard work by the scientists focussed on coral spawning. Grateful thanks go to Adventure Mania for the dive charters, the iSimangaliso Wetland Park Authority for research permission, and to the FordWildlife Foundation for getting us to and from Sodwana safely.